After you retrieve your suitcases from the baggage claim, exit the terminal to where all the cars and busses are picking up and dropping off. 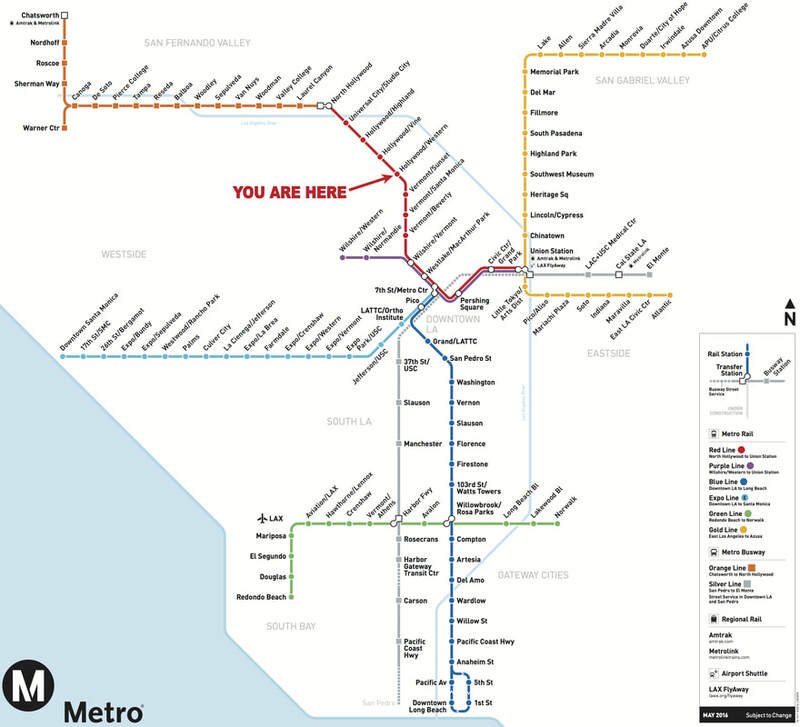 While the LA Metro Green Line has an LAX station, it is actually a few blocks away from the airport. Fortunately there is a free shuttle that will take you to the Green Line station. Once you've exited the airport, look around for the "G BUS". The G BUS makes regular runs to all of the terminals taking travelers to and from the Green Line station, so you may have to wait a few minutes for the next G BUS to arrive. When you arrive at the Green Line station, you will need to purchase tickets to ride the Metro. Near the escalators you'll find several kiosks where you can purchase a TAP card. TAP cards cost $2.00 and can be reused as many times as you want. Every rider must have their own TAP card to ride the train. Follow the instructions on the kiosk to purchase passes, one-way, round-trip, or day passes. One way trips are $1.75 and round trips are $3.50. 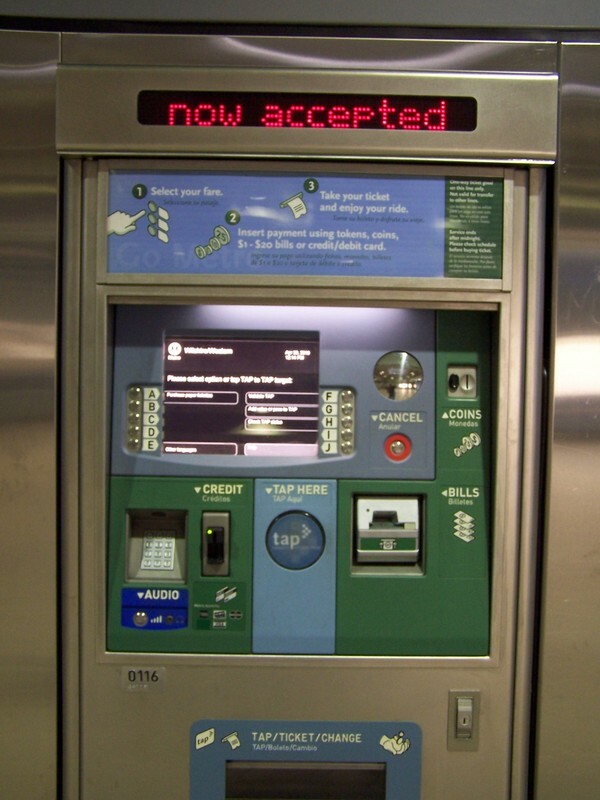 Once you have your TAP card, don't forget to "tap" it at the turnstile before proceeding up to the boarding platform. You will want to board the Green Line train heading east toward Norwalk. Exit the Green Line train at the Willowbrook/Rosa Parks Station and proceed downstairs to the Blue Line boarding platform. Don't forget to "tap" again to transfer. This will not deduct another ride, but simply tells their system that you are transferring to another train. Now, you will want to board the Blue Line train north toward the 7th Street Metro Center in Downtown LA. You will ride this train all the way to the end of the line. Exit the Blue Line train at the 7th Street Metro Center and proceed downstairs to the Red and Purple line boarding platform. Don't forget to "tap" again to transfer. Both the Purple Line and Red Line stop at the same platform, so make sure you get on the Red Line train toward North Hollywood. Finally, exit the Red Line train at the Hollywood/Western station. Take the escalators up to the surface and turn left onto Western Ave. Walk two blocks south on Western Ave to Harold Way. Turn left on Harold Way and my building is 5437 on the left. Happy Travels!